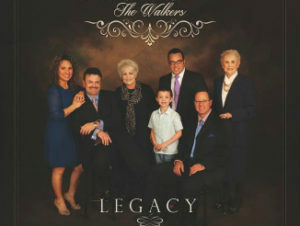 Evangelical family band The Walkers have kicked off the summer leg of their highly successful 2017 Legacy Tour. Preparations have been underway to get ready for a busy two month tour across North America. Group manager Billy Walker states, "I believe that this is going to be the busiest tour we've ever had. We are out for 69 days or so and we are singing over 50 times, around 26 times alone in July." The tour will kick off with a Saturday night and Sunday morning combo, July 10-11, 2017, in Liberty, Mississippi and ends on Tuesday, August 8, 2016 in Mystic, Connecticut. The tour stretches from Mississippi to Texas, up to Iowa and Illinois. The Walkers also make their way from Arkansas to the Mid Atlantic from South Carolina up to Pennsylvania and Delaware before the homestretch of New England dates. The tour includes dates in these 13 states Mississippi, Texas, Iowa, Illinois, Arkansas, Tennessee, Virginia, South Carolina, North Carolina, Delaware, Massachusetts, Maine, and Connecticut. "We are excited to bring a new album, new songs and a refreshed passion for the message that we believe God has given us through these songs" Walker added. For all current tour information visit The Walkers page on Gospel Gigs.